More than 90,000 people have signed an online petition calling for last weeks’ Scottish Independence vote to be recounted, backing accusations that the referendum was marred by vote-rigging. “We the undersigned demand a re-vote of the Scottish referendum, counted by impartial international parties,” the petition reads. The online petition goes on to say that there were “countless evidences of fraud” in last Thursday’s vote count. The petition, which has been published on the campaigns website Change.org, says that “Yes” votes were deliberately put into a “No” pile, and that there were “strange occurrences with dual fire alarms” in some voting centres, alongside “clear cut fraud in Glasgow”. “We demand a revote be taken of said referendum, where each vote shall be counted by two individuals, one of whom should be an international impartial party without a stake in the vote” the petition says. The statements come in spite of the SNP and independent observers accepting the outcome of the referendum. 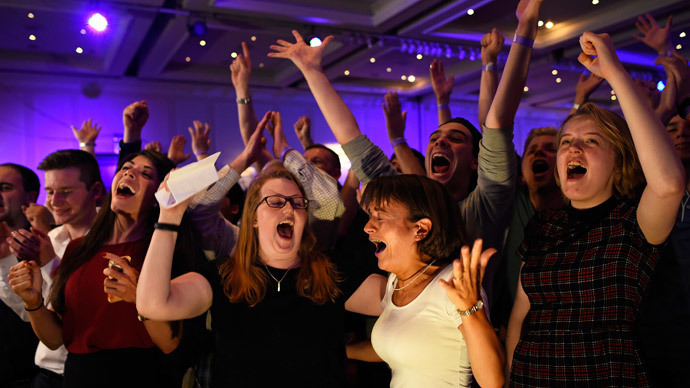 Following the result, former First Minister Alex Salmond urged ‘Yes’ campaigners to “accept the democratic verdict of the people of Scotland”. The petition may be related to a viral Youtube video alleging that a number of pro-independence “Yes” votes were deliberately ignored or manipulated to distort the referendum’s real result. 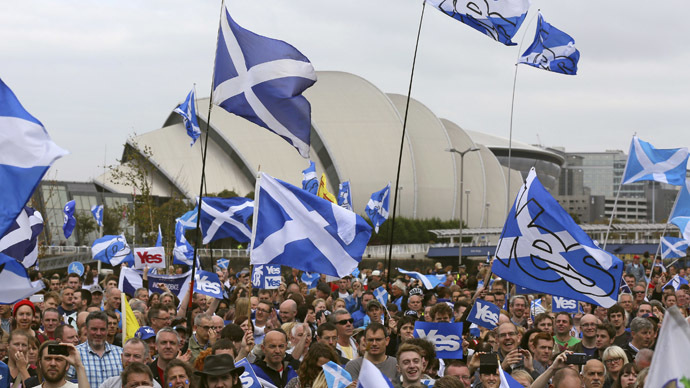 Accusations of dirty tricks and the overuse of scare tactics to undermine Scotlands’ pro-independence movement has also led to the formation of a new campaign, “We are the 45 percent,” referring to the percentage of Scots who voted “Yes”. 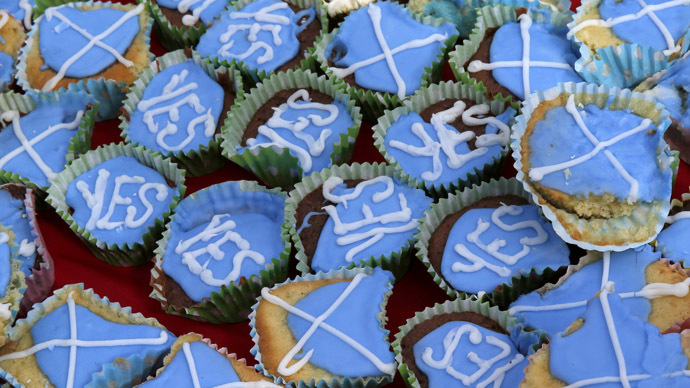 The campaign aims to use social media to maintain pro-independence sentiment in Scotland, especially among young voters. 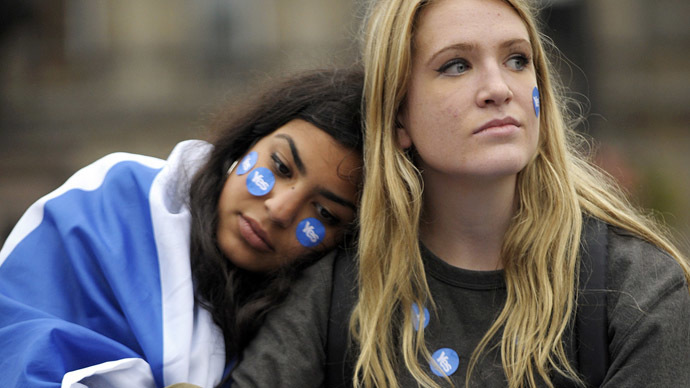 The outcome of Scotland’s referendum result has caused divisions in Scotland. While many Scots believe the vote was rigged following an intense scare campaign from Westminster politicians and big business, others have told pro-independence supporters to “get a grip” and accept the referendum’s result. Thanks to all the "rigged #indyref" types for the implication that me and 1000s of counting agents are utterly incompetent buffoons. 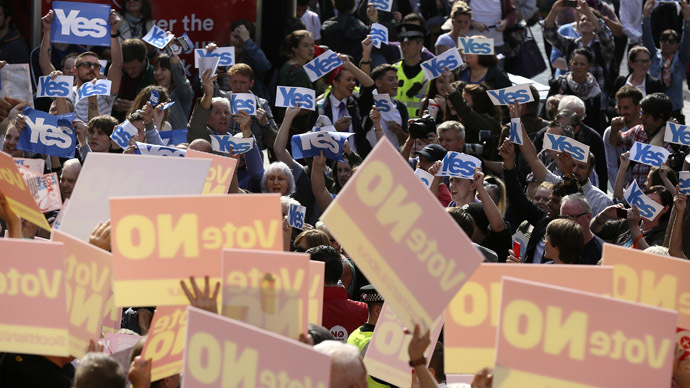 Tensions escalated between the “Yes” and “No” camps following the referendum result last Friday, as supporters of retaining the union with the UK engaged in violent clashes with pro-independence campaigners in Glasgow’s George Square. Scottish police arrested 11 people for offences which included “disorder, breach of the peace and vandalism." Pro-Union supporters in the square were also accused of deliberately intimidating independence supporters by performing Nazi salutes. No official has commented on accusations of electoral fraud or vote-rigging in the referendum. However, the referendum’s chief counting officer, Mary Pitcaithly, told The Guardian she did not see evidence of rigging in the vote counting. “All counts throughout Scotland were properly conducted and scrutinised by thousands of people representing both the ‘Yes Scotland’ and the ‘Better Together’ campaigns, as well as international election observers, media and police,” she said. While the Better Together campaign came under criticism for its scaremongering tactics, its campaigns chief admitted it was a central part of their election victory. Addressing the Labour party conference on Tuesday, Blair Mcdougall said that the campaigns’ research showed that negative rhetoric was effective on undecided voters, adding that his research showed that nearly half of Scottish voters would have made their decision based on the emotional case to remain in the United Kingdom.